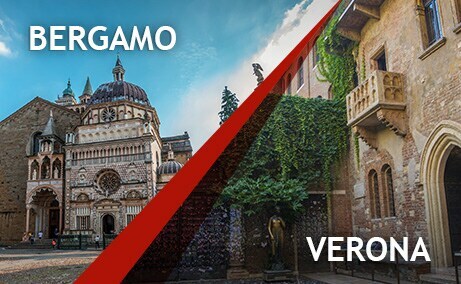 Don't miss our incredible offers: buy your train tickets from Bergamo to Verona or from Verona to Bergamo with Italotreno! Train is the fastest connection between Bergamo and Verona: get to your destination in only 1 hour and 36 minutes! Discover all of our offers and travel at the best price. Buy your Italo high speed train tickets Bergamo-Verona and Verona-Bergamo in advance and save!